“When I say ‘Steg,’ you say ‘G.’ ‘Steg G! Steg G!” A very liquored-up Glasgow crowd joins in the call-and-response as they splash lager left and right in sync with the rhyme. 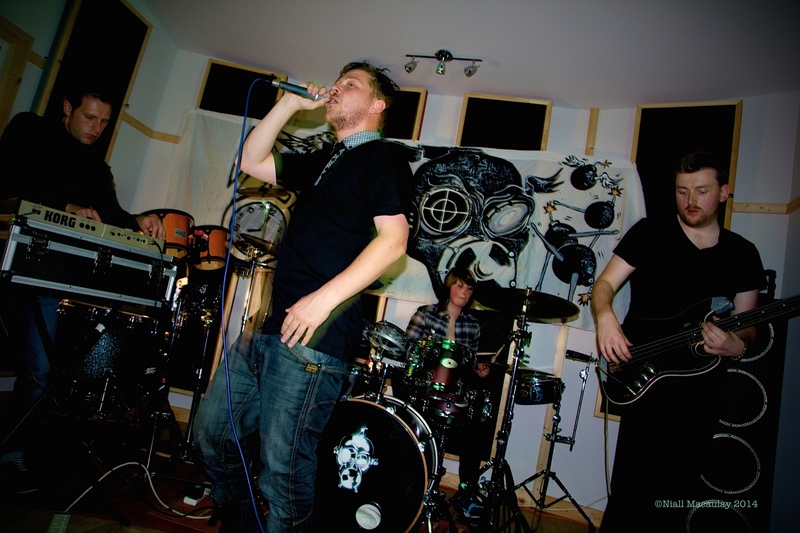 Scotland’s hip-hop pioneer, Steg G, reaches his microphone towards the crowd from onstage, behind the battle positioned turntables, commanding everyone to join in. 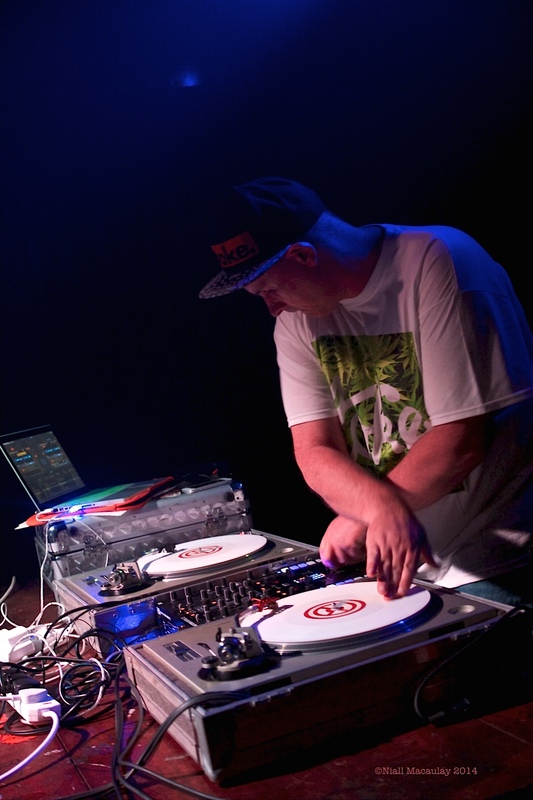 Steg G is doing his job well, warming up the night with his greatest hits mix of hip-hop. KRS-One’s Sound of da Police at roof-shaking decibels gave fair warning of what was to come. The man who the Rock & Roll Hall Of Fame credited as being part of the musical revolution known as hip-hop in America was about to take the stage, the one-and-only Grandmaster Flash. But tonight’s opening acts are more vital to what is happening in Scotland right now. Infamous battle rapper champion Freestyle Master joins Steg G, swaggering like a boxer in a ring, hitting out at opponents with his rapid-fire rhyme and heavy-weight Glasgow brogue, singing about inner-city life in Glasgow from experience, and smashing through the politics in the process. Scotland is seeing its own political revolution, rappers are using sharp rhyme to get people to the polls on September 18 for the historic vote on independence. 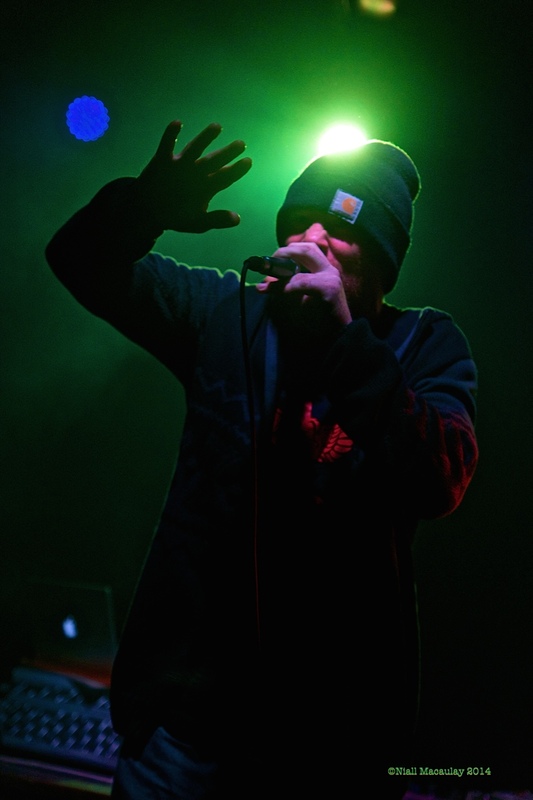 Mixing the politics of nations with music is a minefield, and Scottish rappers know they risk alienating sections of their audience by using their slot on stage to push people to think about their choice. But it’s working. The mood is positive, buoyed by recent comments from Chuck D at Public Enemy’s Glasgow show: They’re smart and it’s time. It’s 2014. Scotland can have independence. Polls have both sides statistically neck and neck with the YES campaign riding an upswing of support. Hip-hop artists are grabbing the chance to make their voice heard, the scene is vibrant, the clubs are full – people what to hear what they have to say. Hip-hop grew out of MC and DJ culture as artists started listening to American hip-hop, often imitating, but eventually innovating. Breakdancing crews also became a popular phenomena that spread city to coast, from clubs to skateparks around the country. The ultimate level of respect for dedication in Scotland’s hip-hip circles goes to Glaswegian Steven Gilfoyle, a.k.a., Steg G. He runs Power Cut Productions, a label dedicated to Scottish hip-hop artists, and hosts the Temple of Hip-Hop show, devoted entirely to hip-hop created in Scotland, on local radio station Sunny Govan. 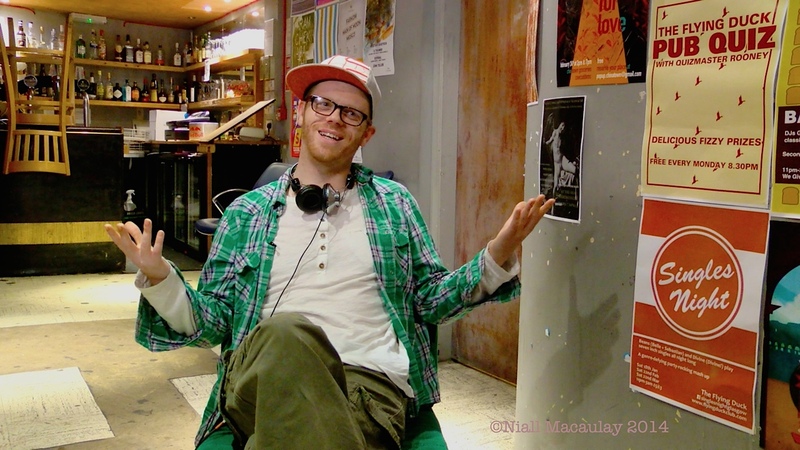 “Good rappers should be a reflection of the society they are a part of, and hip-hop has always been about empowering people in their own communities to look after their own interests,” Steg G says without hesitation, when asked about the volatile mix of music and politics: “The referendum is a massive chance for Scotland to do that. Scottish Hip Hop artists see this as a time to create more opportunities.” Longtime collaborators, Steg G and Freestyle Master go way back to the 80s when housing schemes had their own breakdance crews who would congregate and battle it out for supremacy at The Plaza in Glasgow. Steg G and Freestyle Master released a 12 inch back in 1993 with the group Power Move which was the first record to feature the Glasgow accent “in all its glory,” as a grinning Freestyle Master puts it. A bold move in a music industry where the consensus was an American accent was a pre-requisite to perform hip-hop. Case in point, remember Silibil N’ Brains? From Dundee, the duo bizarrely conned Sony Records by posing as rappers from California to successfully land a record deal. Artists had to fake it to be credible, the scene in Scotland was not taken seriously. If you wanted to be a hip-hop star, best move south. That’s changing. “A lot of younger folk are getting into hip hop,” says Audrey Tait, drummer in Hector Bizerk. I don’t remember being in school and there being any MCs. Students are getting into battle rapping.” Groups such as Edinburgh trio, Young Fathers are opening the floodgates with their popularity in the U.S., appearing on Jimmy Kimmel Live and now being nominated in the for a Mercury Prize, an annual music prize awarded for the best album from the UK and Ireland. What is happening locally, though, is even more exciting and they are impacting the course of their country’s future to boot. Louie, the undefeated battle rapper in the 4-piece hip-hop ensemble Hector Bizerk, explains his position on all this : “Politics and hip-hop go hand and hand. When hip-hop was coming in prominence in the slums of New York City, rappers were becoming figureheads. We need to deal with social conditions and barriers here, be socially aware of our surroundings.” Even though Louie is a passionate YES voter, he doesn’t want to dominate or force his opinion on everybody else. “We can all have opinions but we have to be careful not to push an opinion on people. That is not what we want to do as a band,” says their drummer, Audrey Tait. As the vote approaches, the debate gets ever more heated, creating friction and tension between friends and families. Bassist Fraser Sneddon says he’s burnt out on watching people fight on social media “what happened to the funny pictures of cats and stuff? How am I supposed to know what my friends had for dinner? “ he laughs “Let’s be friends and put the kettle on…” So what happens if Scotland stays in the UK? The room goes quiet, nobody in the band really wants to say. “If the vote is NO, I blame Loki,” jokes Louie. “He’ll implode, he’s dedicated so much time to this!” says Audrey. “Look at the music industry now, it used to be mid-American vocals. The Scottish accents are pervading with groups like Biffy Clyro and now Scottish hip-hop,” says Dave Hook, a.k.a., Solareye. “ It’s about being true to yourself.” Regardless of the referendum outcome “everyone is talking and engaging in politics and really looking into social inequality and how the country is run.” In Stanley Odd’s new song Son I Voted Yes, Solareye addresses his son Calum who will turn one year old three days after the referendum. It has become an internet hit, more than 70,000 views on Youtube in just over a week, climbing the iTunes and Amazon charts for sales. Stanley Odd played the song last night at the sold out A Night for Scotland, a YES gig in Edinburgh that featured Franz Ferdinand, Mogwai, Frightened Rabbit and many others. Son I Voted Yes’ lyrics are hitting home for many and how it will impact future generations. As an American visitor, it’s been a fascinating process of democracy to watch. Passionate people, energizing a level of artistic creativity in Scotland that could only be surpassed with a victory for YES on September 18. The last referendum was in 1979, when the vote was a YES but the turnout was deemed insufficient. If the vote is NO it will likely be decades before the next opportunity will emerge. Tuning into Sunny Govan, Steg G is keeping hip-hop at the forefront of this discussion with a lively debate between rappers. In one corner is Loki for the YES camp, for the NO side is Danny Quinn, better known as Wee D. Wee D’s central point is that staying in the United Kingdom brings more resources and creates more opportunity, coming from his own experience of becoming a new father and looking for a better life for his family. “I support calculated risk taking, I support radical innovation. What I also support is partnerships. I believe any artist supports partnership. There is no artist in this country, in this world that can make a project by themselves. What the Union has now is a partnership between four countries,” says Wee D. “The ability to move and go work down south, the freedom of this united family is inspiring to me as a Scotsman and as a Brit.” On September 18 the people of Scotland head to the polls. Loki and Wee D will be representing both sides in a rap battle that night at the Jamfest club night in Pivo Pivo. With votes on the definition of the country being tallied up live, the atmosphere and the music will be as electric as it gets. Footnote to readers: Look out for each group in this story, they are all putting out new releases.